 Kampenuss is a fine-furniture maker company from beautiful countryside city of Cesis, Latvia. 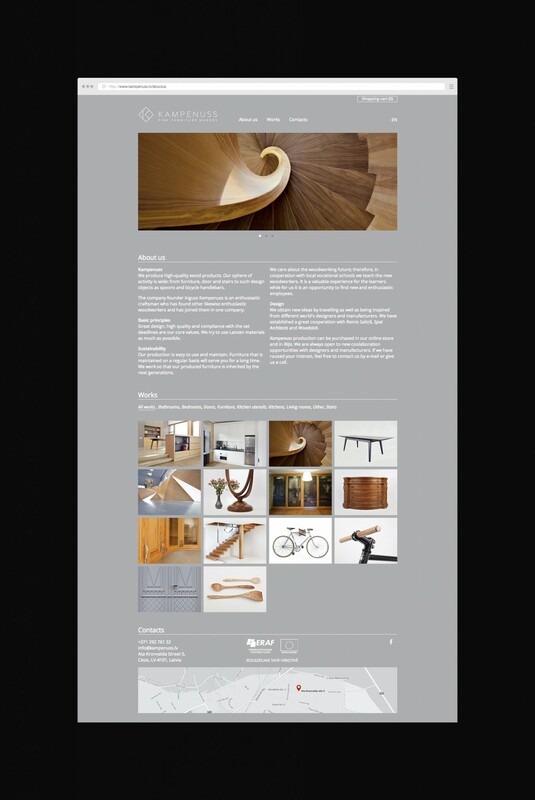 Their product range spans from custom-made furniture to designer kitchen utensils & wooden bike handlebars. 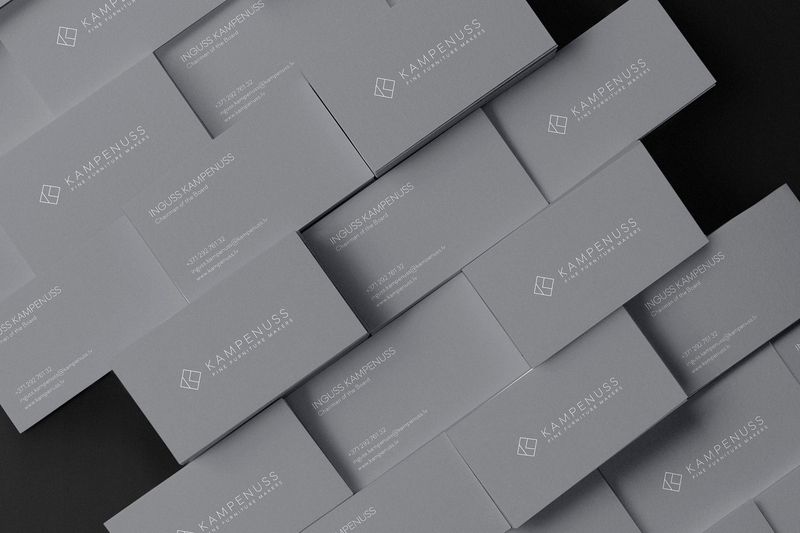 We developed visual identity which would help establish Kampenuss brand locally & help it enter global market, while highlighting their craftsmanship. As part of the visual identity development we art-directed photoshoots, created responsive web page with a shop, as well as designed other everyday communication materials like brochures, stamps and other items. Our concept called for composed and restrained visual language. 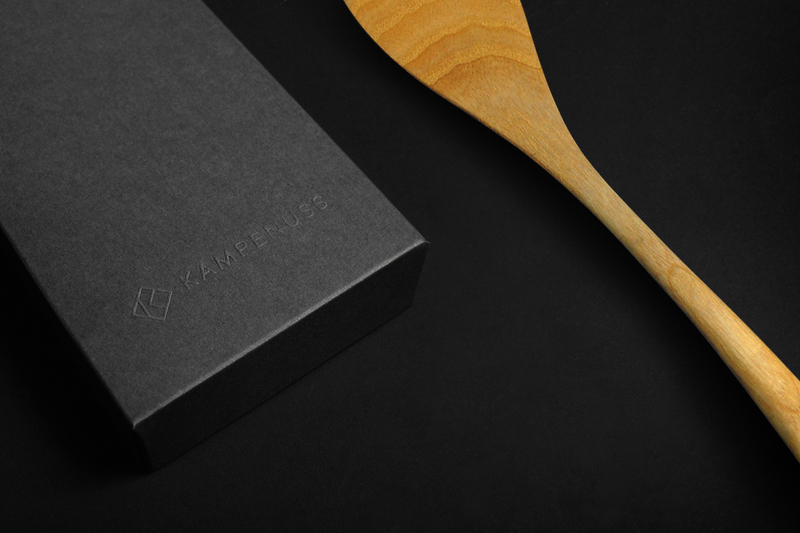 Drawing inspiration from the craftsmanship – we let the logo breathe and be unobtrusive, while pitting precise, fine lines against the organic shapes of the products. 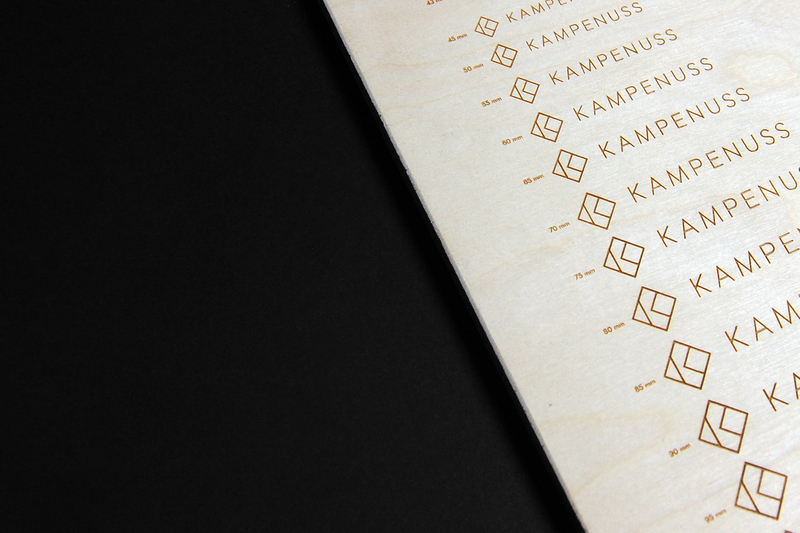 The rhombus-shaped mask of K is like a magnifying glass, drawing attention to the small details.